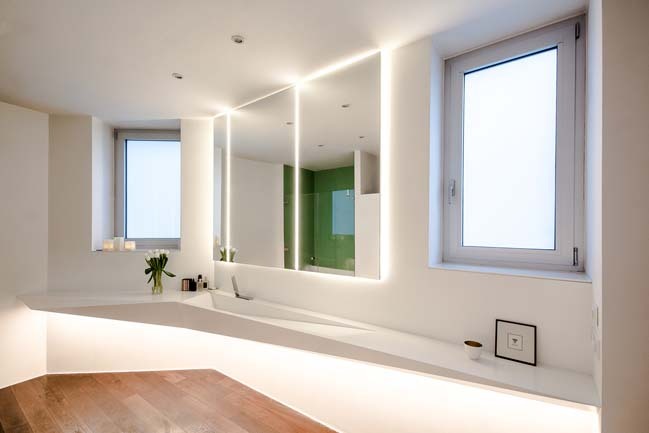 Ice Bath is a beautiful white bathroom design of creative studio based in Vienna Who cares?! that the design is inspired by aesthetic of ice. According to the designers: The design principal is simple - "bigger", "better", "who cares?!". 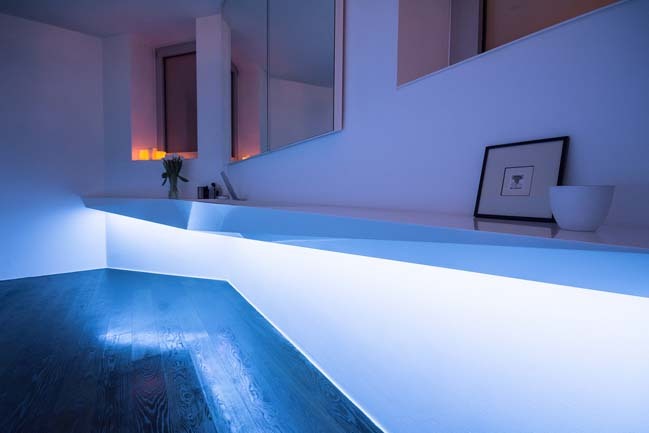 the low poly sink is produced seamless, completely carried on a wall, indirectly illuminated with a full rgd-led color range. 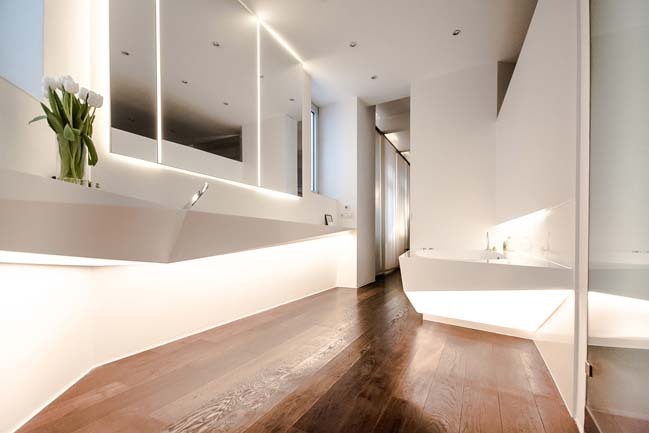 so this sink became a wall light element as well. 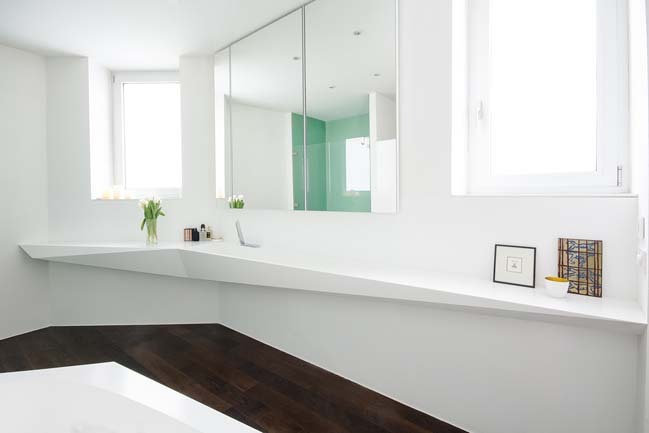 the touch based fitting is a hansalatrava and was selected in the early design process. 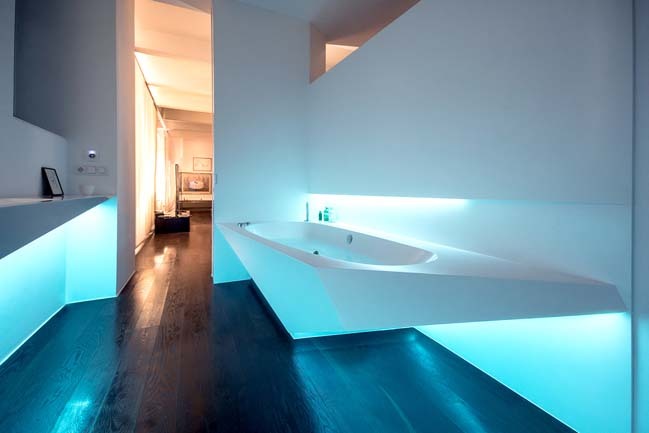 the buthtub is floating and indirectly illuminated. 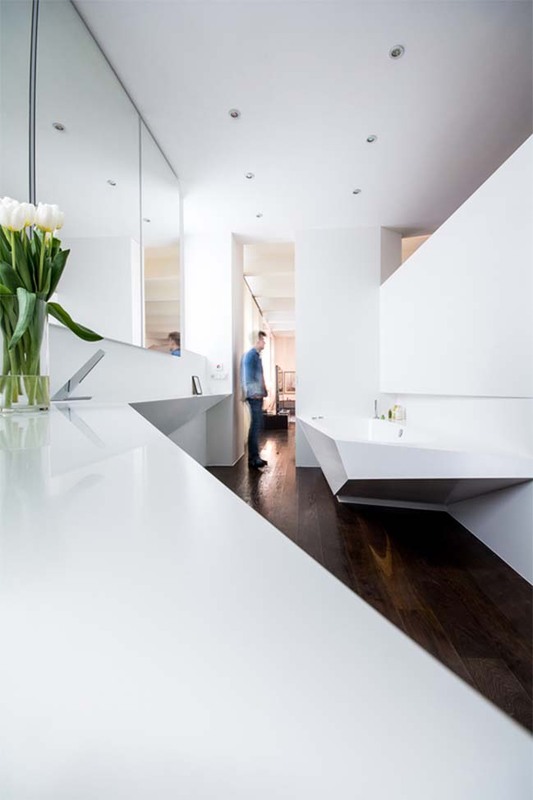 the entire structure was created with Dupont™ Corian® adding nicely to the aesthetic, and feel, of ice. 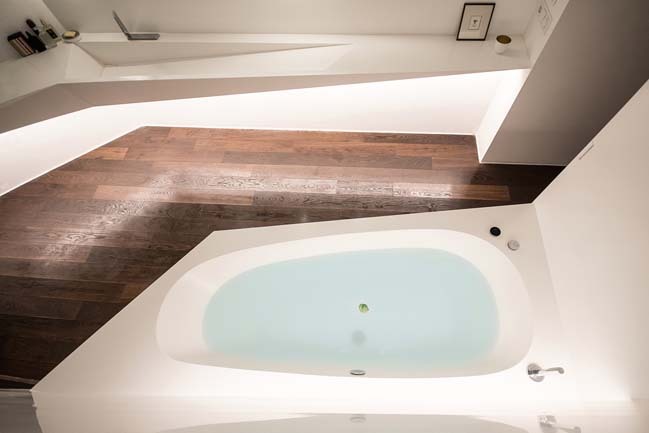 the control of the bathtub is easy like a smartphone. once you adjusted your personal settings, the fittings are memorizing these setup....easy like "press and bath". 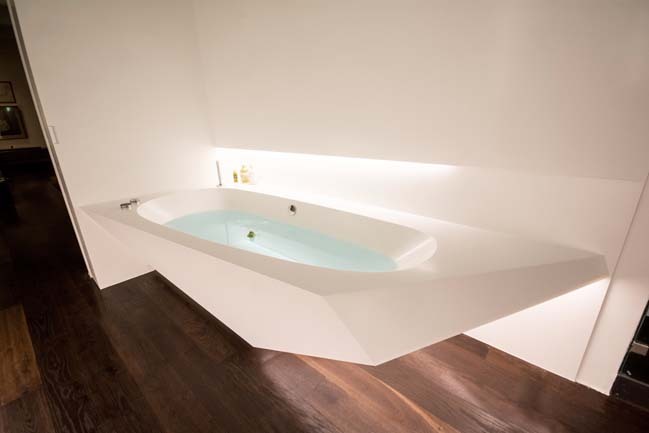 therefor we took a viega system that can fill the tub from the bottom so you don´t hear a single drop falling. 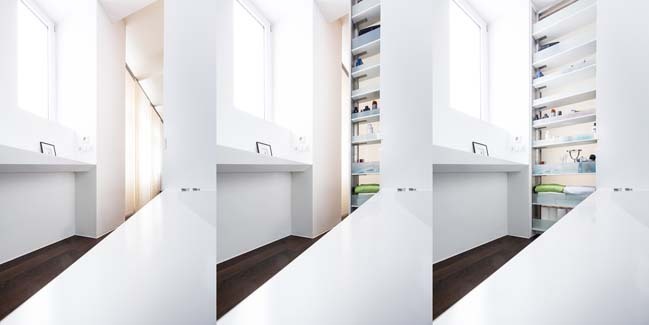 the backwall is designed as a multi functional tool. it´s an apothecary cabinet and a door. 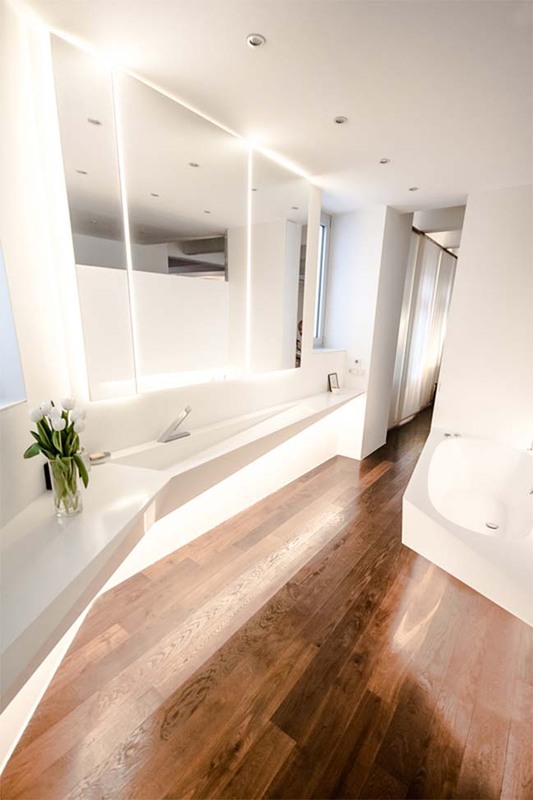 when you close the bath the apothecary cabinet offers everything a wellness heart desires.